Total length: 28.5 cm, blade length: 15 cm - item number: 1880426032 - Other knife types and set combinations are available for this knife collection. This knife is a real heavyweight. Originally designed for Asian cuisine, the Chinese cleaver has long since gained popularity in European kitchens. And no wonder: the rather exotic-looking model is both highly versatile and very practical. In appearance, the Chinese cleaver is very similar to an axe – especially due to its extremely wide blade, which is almost twice as long as it is wide and thus ideal for cutting or chopping through sinew and bones. 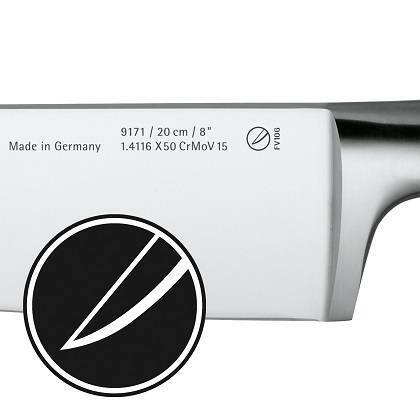 What’s more, the front edge of the blade is extremely sharp and popular amongst professional and amateur chefs for chopping fish and meat. This is a powerful addition to any knife set and opens up a whole new range of preparation styles. 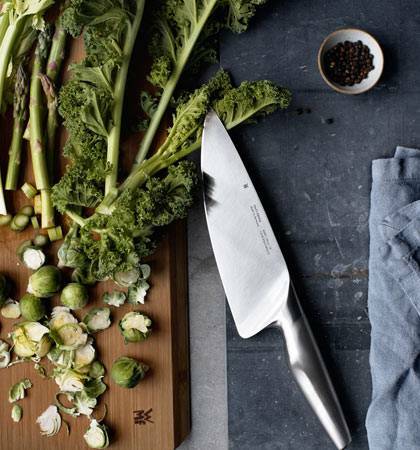 Enjoy all that Asian cuisine has to offer with WMF Chinese knives. These powerful Chinese knives are ideal for cutting and chopping or for severing tendons and bones! Chinese knives an asset for European kitchens too! Chinese knives are not only popular in Asian cuisine. The variety of uses and excellent feel mean that they have also found their way into European kitchens. 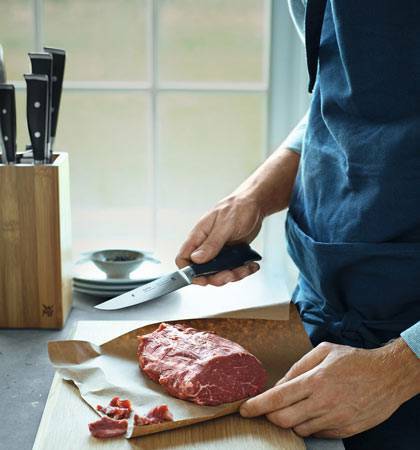 It is important to distinguish between Chinese chef's knives and Chinese choppers, which are also suitable for deboning meat. WMF Chinese knives are available in two versions. Firstly, we can offer you the top-quality Chinese chef's knife. This is also known as a duo dao, and though it has the shape of a meat chopper it isn't used as one. The blade of a Chinese chopper is too thin to shatter bones. It is much better suited to chopping herbs or slicing vegetables and meat. Unlike a European chef's knife the Chinese chef's knife has an extremely wide blade, which is roughly twice as wide as it is deep. The other version that you will find in our assortment is the Chinese chopper. It is also known as a deba, and is similar to the Japanese hatchet, which is suitable for severing tendons or hacking bones. The chopper's blade is about twice as long as it is deep, and the front part of the blade, which is extremely sharp, is often used for preparing fish or meat. These two versions of Chinese knives open up new possibilities for European cuisine and enhance any set of knives. 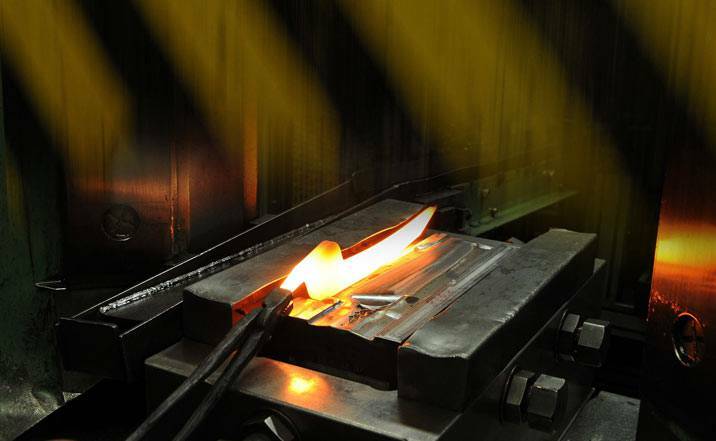 So your Chinese knives can continue to bring you joy for as long as possible we place a great emphasis on the high quality and durability of our products. 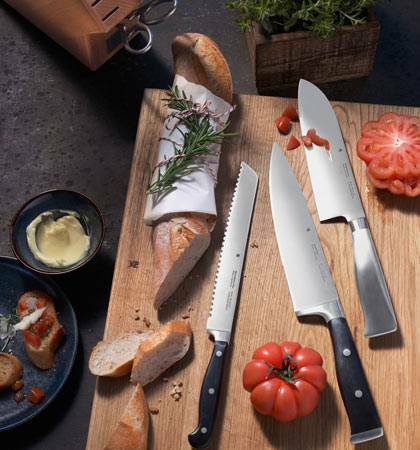 WMF's Chinese knives are either handmade from high-quality special blade steel or are made from absolutely rust-proof Cromargan® 18/10 stainless steel. 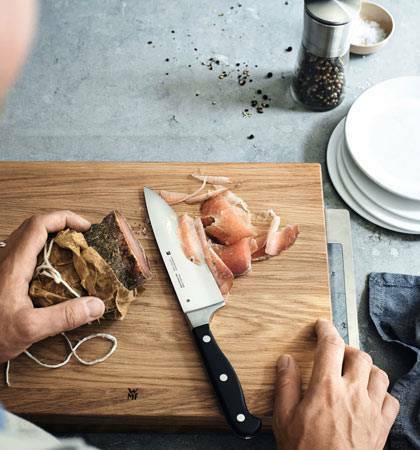 We offer Chinese knives in the Classic Line, Grand Gourmet and Spitzenklasse Plus knife collections so that you can easily supplement your knife collection with these premium Asian knives.  Browse through our modern online shop and let yourself be impressed by the high quality of WMF's Chinese knives.